Discussion about "Good to Great" in Professor Thornton's leadership class. Last Thursday, December 10, Professor Paul Thornton invited me to speak to his leadership class about “Good to Great”, a book by Jim Collins (http://www.jimcollins.com/). I had used this work as a guide to improve performance at STCC with administrators asked to read and discuss it. Like so many of our students, those in this class were articulate, bright and focused. I know that they have a great future in front of them. They questioned everything I said adding examples from their own experience. Professor Thornton’s students were interested in how a college like STCC could use the lessons of Good to Great. They agreed that hiring the excellent people – what Collins calls getting the right people on the bus in the right seats – was important. Furthermore, we talked about the need for discipline, a key principle of Good to Great was applicable to any organization. We spent time discussing what Collins in a companion monograph calls executive vs. legislative leadership. Collins argues, I think correctly, that in a for-profit business the CEO and top management exercise executive power that enables them to make a decision and make sure it is carried out. In a non-profit such as a college because of the diffusion of authority among faculty and other stakeholders, administrators must consult and build support for new initiatives. This makes the change process more difficult but also potentially more meaningful in social sector institutions. At Springfield Technical Community College we are always seeking ways to use technology to improve our effectiveness. Exploiting electronic media, the college designed a holiday greeting that, in a photo essay, celebrates the year of 2009. Our staff and faculty took the pictures, built out the software and designed the presentation. Total cost to the college: $29.00 for the music which we had to purchase. 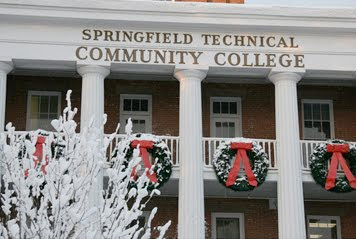 Happy Holidays from the students, faculty, staff, alumni,Trustees and friends of STCC! 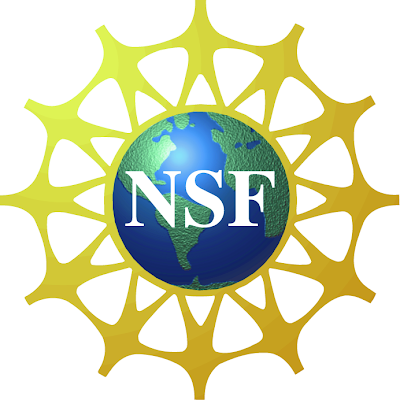 Last week I served on a National Science Foundation peer review panel for community college proposals involving Advanced Technology Education (ATE). Twenty-two panels convened for a three days in Arlington, Virginia assisted by NSF staff. 1) Generally, planning grants are necessary (and usually sufficient) for development of a fundable ATE center proposal. 2) Proposals should include and emphasize metrics and objectives on student outcomes- program graduation data, job placement, enrollment, retention, under-represented students served. 3) Investigators should contact existing centers that relate to the field before submitting a proposal and that connection should be documented in the proposal. 4) Authors should conduct a data review to learn about the research on proposed activities. 5) An evaluation plan should link to objectives and provide a measure of accountability. 6) For a regional center that aims to increase the production of technical workers, the investigators should have data about workforce demand locally, not just nationally. 7) For continuation grants, include an evaluation report to document progress. 8) Focus on student learning outcomes, not just workforce needs. Try to find answers to the questions: What are students learning; how do we know? 9) Describe what success would look like. How would we know if project success is achieved? 10) Focus on soft skills, not just technology.